Keep your family close to your heart. 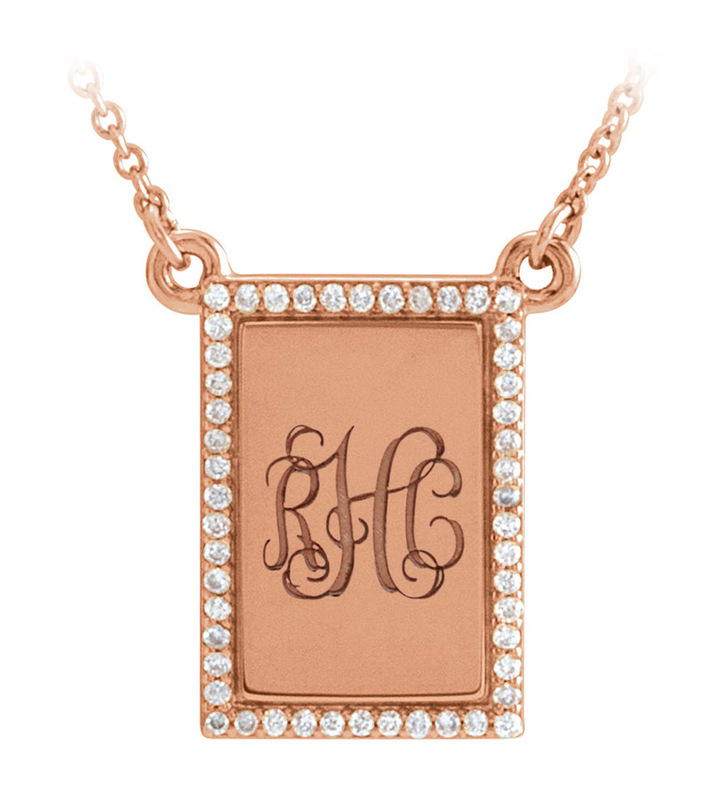 This gorgeous custom monogram pendant is the perfect way to celebrate your love in an artistic way. 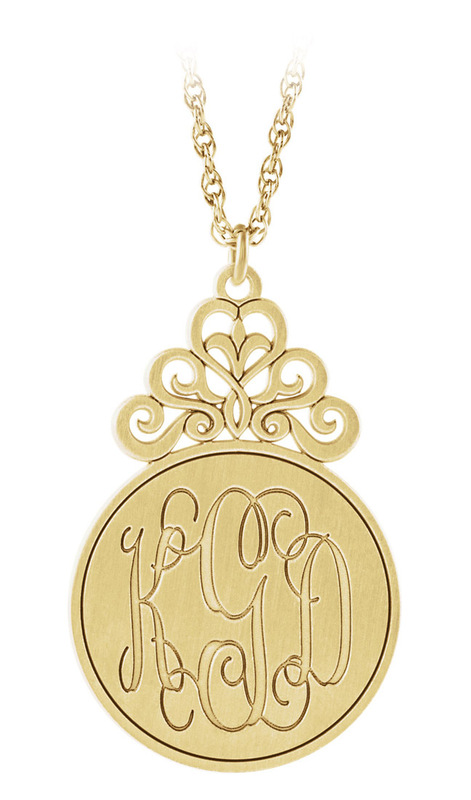 Select your monogram initials to have them engraved in the center of the gold pendant. 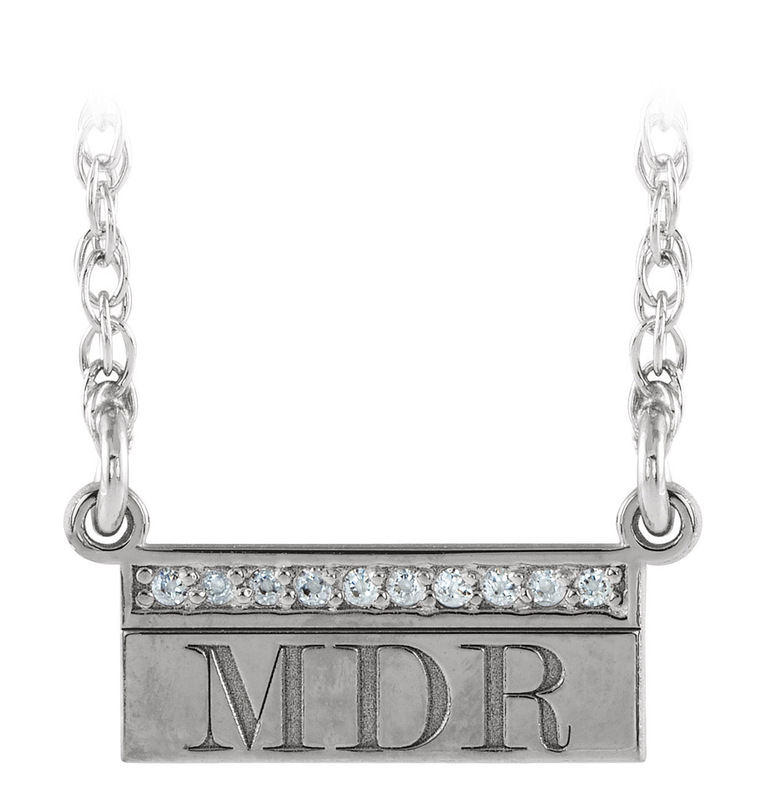 Your monogram is surrounded by 50 glittering diamonds and suspending on a delicately simple chain. 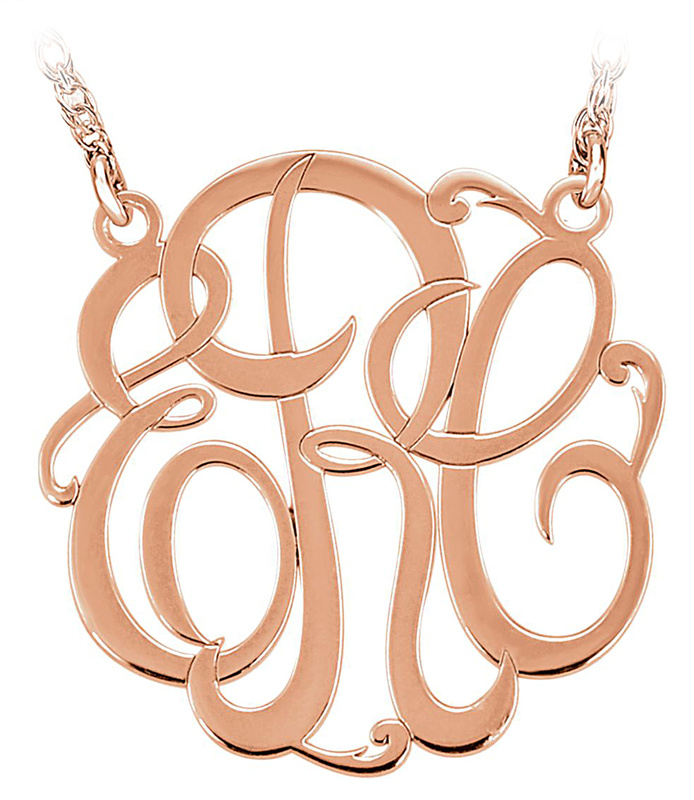 Traditional monogram letter ordering is: First Initial, Last Initial, Middle Initial. But, you can customize your piece however you want.